Hotel Room Booking is one of the leading businesses in the world right now, as there are more and more people travelling around the world. Our hotel room booking script is a one stop travel solution for all your customers to book resorts, SPA, hotels, and restaurant in minutes via online at anytime and from anywhere. We have built this script with the sole purpose of making hotel bookings straightforward, easy, fast and reliable. Our hotel room booking system has information about the hotels, images, reviews, ratings, filters and several other features to help you make the selection right. We just want to make sure that you receive up to date information before you book the hotels from our site. 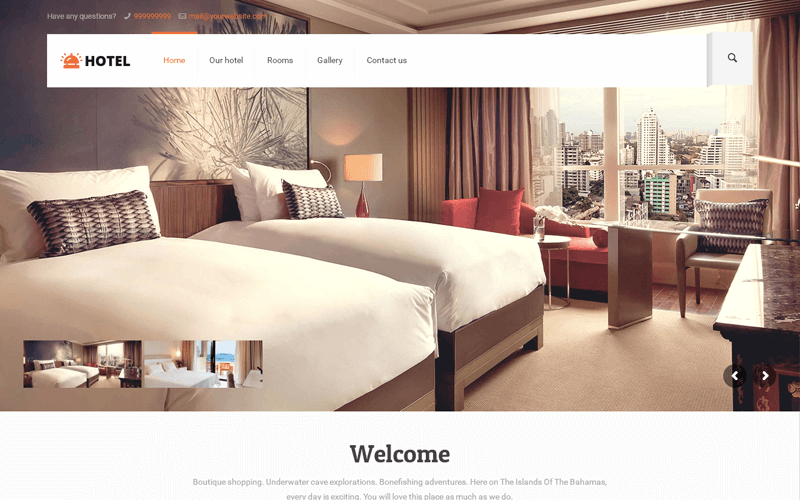 Our accommodation booking script PHP boasts a feature-rich responsive design that aids in making the booking process less complex. We have developed this script with a secure and user-friendly coding, so you can use it without much technical knowledge. We have developed this online hotel booking software with multiple gateway integration, brief description about the hotel and its amenities, Google optimization and to be SEO-friendly, so you need not worry about your website being visible from search engines and being popular when people are searching for a hotel booking website. This script was very much useful to me. I think it suits all the people who are busy in their work because it will save time for them. Because from installation to updation they did everything for me, they saved my precious time. The technical team has cleared out all my doubts with so much patience and they are really good. Very Good design! Developers are very responsible. It is an amazing script with good features. I recommend everyone to purchase this script and to make your booking work to go easy and simple. It also consumes time because the company will provide everything at your hands, as I got profited so much.